We always offer our San Francisco brides and grooms sample photos both in sepia and black and white. They still receive the color image as well. We often choose images that are more candid in nature to provide to our couples this way. In this particular photograph, Amanda was putting on her shoes. 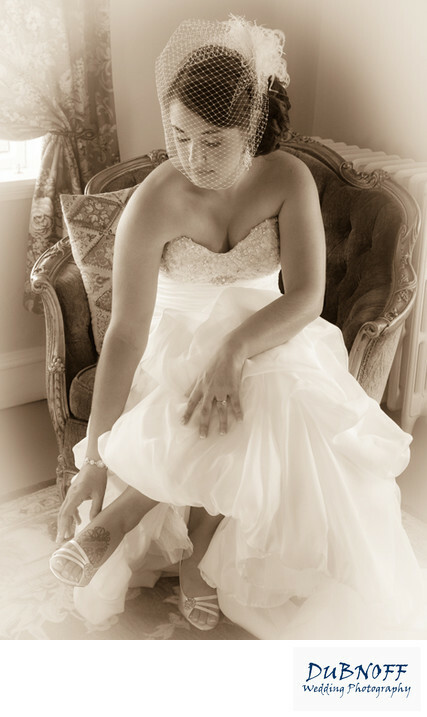 We thought that sepia was a great way to showcase this image, especially with the vintage look this bride was going for. This wedding took place at the historic Berkeley City Club which also has a vintage look to it.